In a previous blog, we discussed ways to improve your confidence in the car. 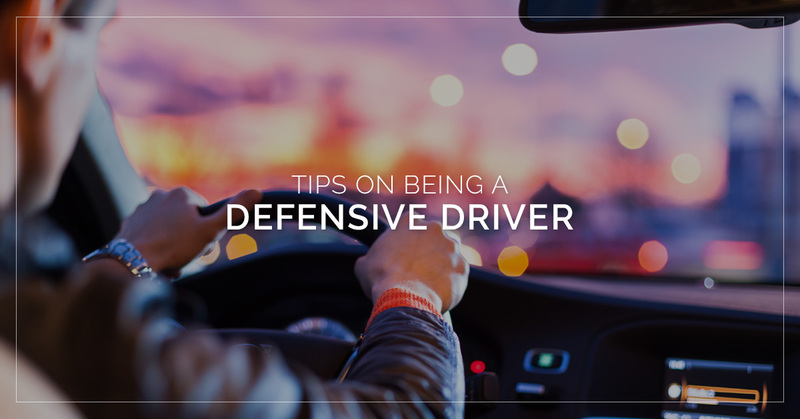 To go along the same theme, this blog is going to dive into defensive driving. As you become more and more familiar, comfortable, and confident in your driving skills, defensive driving is another mode of thinking you can master. At Pacific Driver Education, we offer private driving lessons to teenagers and adults who want to learn how to drive and experience the freedom of being able to go wherever the road takes you! But before you start planning your next road trip, here are some tips to remain as safe as possible, and to prevent other drivers from getting into an accident as much as possible. First, What is Defensive Driving? Think of a defensive player on a basketball team, their job is to keep the ball from entering their half of the court. They look at what other players are doing on the court and try to anticipate what the other team’s players will do in order to keep them from scoring. In the car, defensive driving means whoever is behind the wheel is aware of their surroundings and tries to anticipate potential hazards, such as construction ahead, drivers who are switching lanes quickly, or bad weather. When you are driving a car, your sole priority is to get you and other passengers from point A to point B. The challenge is when distractions, such as kids in the back seat throwing french fries at you, an extra annoying song on the radio, or your phone ringing, make it hard to consistently pay attention to the road in front of you. You may see that a green light is ahead of you, but all it takes is a split second, when you turn around and give a warning to your kids, for that light to turn red. You have probably heard the phrase, “You can’t trust anyone but yourself.” This may be all too true when driving on the road. You may have passed your private driving lesson with flying colors, you know all the rules of the road, and you always keep your cell phone turned off while driving, but you can’t, and shouldn’t, assume that everyone else on the road has the same skill and forethought. Whether you’re driving on I-84, Burnside St., or your own quiet neighborhood road, there are set speed limits for a reason. When you are driving over the speed limit, you are putting others at risk. If the cars in front of you suddenly slam on their breaks, the faster you’re going, the longer it will take for you to stop, and if an accident occurs, the bigger the impact will be. Depending on how hilly a road is, you can probably see if the traffic ahead is starting to slow down. You should be able to see an intersection coming up, erratic drivers, or highway debris too. Simply looking ahead as well as to the sides, you can plan ahead and make adjustments as needed. We’ve all been in that situation where two cars pull up to a four-way stop at the same time and they don’t know who has the right of way. Even if you know that you have the right of way, and the other car starts to inch forward, let them go. That awkward “You go,” “No, you go” situation doesn’t make anyone happy, and getting in an accident definitely won’t make anyone happy. Even if the car ahead of you is driving 50mph in a 60mph zone, no one likes a tailgater. And there are too many accidents that happen due to not enough space in between cars. If a bunny jumps out and the car ahead of you slams on the break, it will most likely be you who pays for the damage if there is a collision. People sometimes don’t realize just how much rain and snow can affect your driving. When roads are slippery, the time it takes for your car to stop will increase. To adjust for this, you need to give even more space between vehicles and pay closer attention to your surroundings. 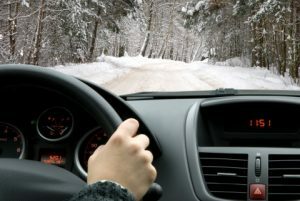 You can also take a private driving lesson to learn the best techniques for driving in harsh weather conditions. 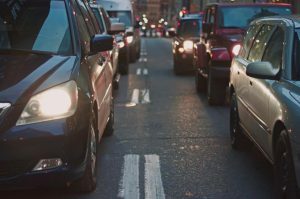 We all have those feelings of frustration, and even anger, when a car pulls in front of us, or when a driver is clearly not paying attention to what is around them, but holding in that anger or frustration will only make the situation more dangerous. If a driver’s behavior is erratic, rather than get upset and try to get even, slow down and call the authorities. Defensive driving doesn’t have to be complicated. Even the smallest changes in your driving behavior can lower the risk of accidents happening. To learn more and to sign up for a private driving lesson, get in touch with Pacific Driver Education in Gresham.